Today, Perrin and I discuss SEO. Can you believe it already been a year since the big PBN update? This PBN update had a big impact on aPennyShaved.com (the Niche Site Project 2 website) and other niche site we were working on. As a result, we have drastically changed how we do SEO and link building. We haven't talked about these strategies too much, but we definitely are still actively doing keyword research, creating content, and building links for our sites. In fact, I've gotten emails and comments from people asking if we would ever talk about SEO again (rather than my recent Amazon FBA frenzy). So, I felt like it was finally time for an update on what our current strategies in 2015 are for search engine optimization, external and internal link building, content, and so much more. To get all the details, you really do need to listen to the entire podcast. However, below I am including a few “notes” from this podcast. This will just give you some of the general topics that we cover, but there's plenty more in the actual recording. About a year ago the PBN update came out, and I vowed to never use a PBN again. I'm happy to say that I've been true to my word, and honestly, have never been tempted once to go down the private blog network rabbit hole again. Perrin and I have been building a site together to support the products we are selling on Amazon. The site is still fairly new; however, it's starting to show some signs of growth. In particular, the queries and impressions found in Google webmaster tools is beginning to start a really nice trend. The graph looks good and it's exciting. So, our current project is really working on this site that is related to our FBA product. We have about 50 pieces of content up on the site right now covering: product descriptions, Amazon type keywords, and other keyword focused articles. Perrin has also been working on a separate site on his own. He has been employing the same strategies and has been finding some nice success. Perrin's aPennyShaved site was penalized about a year ago. He tried to get the penalty removed for several months without success. He also bought a site that didn't do too well. However, he started a new site near the beginning of 2015, and has taken a 100% white hat strategy. The result? He has been able to produce lots of great content, acquire lots of genuine links, and the revenue is now really close to $1,700 a month. These strategies are working really well for us. So, What's Working for Content? 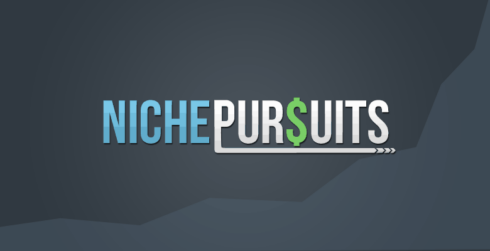 So, we are seeing a couple of successes right now: my current site related to my FBA niche, and then Perrin's site that he started earlier this year (making $1,700/mth). First, we wanted to discuss the different types of content that we are producing right now for our sites. The core of our sites is still very similar to what we've always taught in Niche Site Project 1 and Niche Site Project 2. The “best” and “review” type articles focusing on specific low competition keywords still works very well. As a result, the majority of the posts in NSP 1 and NSP 2 are still very relevant and don't need to be updated. You should still follow the keyword research strategies shared previously. Product pages with add to cart buttons. This is something new we are trying on our site. This is straight eCommerce type keywords, like “pink shower heads for sale”. We are starting to rank for these pages, and so we think having our content with shopping carts on our site is helping. Shorter, purely information articles. For example these are articles that may not have a product associated with it, but is just straight information. For example, “can babies eat honey” or “how much does a stamp cost”. These are articles that don't need to be long, so a 500 word article can help you tackle lots of informational type keywords. This is similar to what a lot of large adsense publishers are doing (like Demand Media). You can “steal” some of these keywords from forums, because forums are typically lower competition. Link-able Assets. These could be huge resources, viral type, ego bait, listicles, guest-o-graphics, or so much more. You want to have a good mix of these. You don't want all informational keywords. Outreach and Link Building…What's the Business Case? So, what are we doing now for link building? Outreach is a big part of it. We talk to a lot of people still building PBN links, and they know there is a risk. They do it because its PERCEIVED to be easier, cheaper, and overcomes the barrier of having to interact with real human beings. However, the business case for outreach is that it actually is much easier and cheaper than everything that goes into building out a real PBN. We dive into this discussion quite a bit more on the the podcast. Overall, the amount of time and money needed to build a real PBN is not easier than genuine outreach. And the links that you get from outreach are obviously “real”, there's no risk here with Google. Every business you get involved with, there is going to be risk. Your job as a business owner is to take on risks that you are comfortable with. This is true of link building; you can lower your risk by doing genuine outreach vs. PBNs or other types of “shady” link building. We are seeing a lot of success with our outreach strategies. Quick Tip: Reach out to people you already know to get your first links. This is exactly what I did with NichePursuits.com and this provided some of my early traction for my site. In order to do great outreach, you NEED to have a big resource/valuable piece of content that people would be willing to link to. Once you produce this amazing Linkable asset, you do your outreach. As the links come in, the authority of that page is going to grow because of all the links pointing to it. As a result, you now have control over this authoritative page that you can use to internally link to the other more product focused articles on your site. (You could use a related posts plugin or manually link to other pages on your site). This is great strategy to get genuine links, and then funnel that “link juice” throughout your site to other pages that perhaps people wouldn't always link to naturally. You really can rank your product focused articles with only internal links from your other authoritative articles. So many people are scared to try real outreach and link building. However, if you just start small, perhaps only emailing a few websites each day…you can quickly start to see some of the benefits. Perrin's own brother has been able to see some good success after initially being opposed to outreach. The best way to learn anything is to just go out and try it. Practice and hands on experience is going to teach you SO much more than reading blog posts or listening to podcasts (even though I appreciate the support!). Overall, even though the income from our newer websites is still small, it's growing and we really like the trend lines that we are seeing. That's a big reason we don't talk about our sites each week; we are making SO much more from selling directly on Amazon right now, so that's more interesting to discuss. However, these sites are growing and we are excited to see where they are at in a few months. We will be sharing more as we see continued success. As always, I'd love to hear your thoughts in the comments below. If you are using any outreach, content, or link building strategies that are working well for you, feel free to share. Have been waiting for this, guys — awesome update! I read Perrin’s case study over at Backlinko about his personal site (I think that’s the same one, anyway), and was inspired by the “guestographic” strategy that I recently applied it to one of my own niche sites. I can’t say it’s been easy, but slowly I am starting to earn some links. I received one DA76 link and even got a DA85 .edu link using the Skyscraper method. These are great results but it’s really hard to scale — I’ve reached out to 50+ people so far, to give you an idea on my “conversions” using this method. A lot of people won’t even return the initial e-mail. But I’ll take those two links all day long. Glad to hear you are approaching $2k/mo with the site, Perrin — that’s awesome because your site effectively has zero chance of being penalized. I see the KWs you’re ranking for and they are mostly low-volume (at least the “best” and “reviews”-type ones are), but it goes to show that the link-juice is flowing from your infographic posts so well that those review-type pages are ranking on page 1 just by internal linking. Awesome work and personally I would love to see you update us on the site with new blog posts over here. Even with white hat there a chance for your website to get penalized. Why? how? Google penalized many big websites before for example: JCPenny. Algorithm is changing and Google can change it in the way which your business (website) will need to evolve to survive. I’m working on ways to scale this. It’s not super hard, really. Basically, I pull a big list, pay a research on Elance to find contact information, and then email them using BuzzStream. Currently, in each outreach campaign, we send ~300 emails, and we try to do two of them per month. It’s not EASY, really, but it’s certainly scalable. Glad you guys not talking only about FBA. Also Perrin, i like your website. I bet the original website name was trademarked, but i like it too. Why you spent $5K? For content and infographic? Hi, I appreciate your content and I would like to read more about product pages with add to cart buttons, eCommerce type keywords and online stores seo strategy. Thank you. Wow, a new post! Hi Spencer, i have always wondered if a person can even earn with Amazon niche site spending zero on promotion and content after purchasing domain +hosting , such a person does his content writing himself and other stuff. He does his little backlinking himself as well. Do you think such a person can achieve that amount like perrin is ‘earning a month’ ? Not Spencer, but absolutely. In that case, you’d just invest your time instead of your money. But yes, you can do it for free if you simply do the work yourself. I would love to be a student and work with Spencer like you go to do perrin. I haven’t sold a single thing online yet and I’ve been at it since June. So yeah I’m in need of some serious guidance and help. Be sure to rewatch, reread all the coaching posts/videos I did with Perrin…hopefully that helps! Curious I thought I heard Perrin meantion a keyword course released? We’ve been busting our bubkisses over it here. It’s got like 10 hours of video content, ~15,000 words, and a couple of live webinars. Great Podcast and Article as usual guys! Curious question (and it may be a dumb one but hey, we are are learning!) – When you are doing outreach for link building do you find that some of the folks you reach out to view you as “competition”? So for example: I write a killer post about a some topic related to Marathon Training and reach out to another blogger who writes about Marathon Training. Just curious your feedback on very similar sites. Not if you don’t frame it that way. Remember, you’re HELPING them. You’re either giving them free content, or you’re offering their readers a great resource. Frame it like that, and you’ll usually end up making a few friends. I’ve sent thousands of emails at this point, I’ve never once had someone say no because I was a competitor. Great points Perrin. Perhaps that opens up the door for another podcast or blog post (unless you already have written one and I missed it)- how to write or different techniques for outreach emails for link building. I’m sure we’ll write more about this as we do more of it. For now, Brian Dean, Chris Lee, Gael Breton, Neil Patel and others all have great outreach case studies where you can see the actual scripts used. Great podcast. Nice to see you back talking about niche sites. I’m a big fan of Ryan Lee’s approach to this white hat building as well. I’m going to start implementing it into my own sites. It’s nice to build something and sleep better at night not worrying about Google finding your PBN. The biggest benefit really is the peace of mind. Exactly this I always tell my SEO students that; you guys must have to overcome the fear of reaching people. I saw personally that; if you reach to 5 people for a guest post with a link back; atleast 1 people usually reply. If we can reach 20 people a day; at least 5 people will reply. And 2 posts can easily be published on their site. Eventually, 15 backlinks from 15 sites a month is not that much bad. I would say its awesome btw. Thanks for another great podcast Spencer. I agree Nasir. Just takes some practice to overcome the fear. Thanks! Thank God, It’s not only FBA. I hope more interesting articles on your first love – niche websites and others are coming up soon, Spencer. And to the man on the block – Perrin, Congrats. Keep the work up. And I’m happy you just write this one. The way people build link has really changed since the expired domains update last year. I’m already downloading this one, can’t wait to listen to it. Hi, Spencer. I followed your blog for a while but this the first time I decide to hit the keyboard to tell something. Outreach is great now, and I hope next podcast you will tell us more about Outreach method! We will definitely consider it…thanks J! Great podcast guys! Good to hear y’all are still working on sites! How are you finding the forum topics? Manually searching forums or a tool? I’m confused about one thing: I want to build something a blog and I start looking for low competition keywords (regardless of other details), but I also start selling physical products on eBay and Amazon. So, the search for those keywords for physical products must be of high or low competition? or I follow the same rules to create a blog? Finally, you have a training course to sell from Amazon FBA? I too am a long time listener who started around the same time Niche Site Project 2 was launched + first time commenter. With your guidance through Niche Site Project 2 and that of another course I was learning at the time, I was able to build out a successful Niche Site of my own that now attract close to 1,700 visitors a day and earn high three figures a month though Amazon Affiliates and has done so now almost a year now. I can see FBA becoming the next biggest thing, and see mixing your FBA with a Niche Site Project 2 site being hugely beneficial – good work and I wish you the best of luck. Congrats on the success, Nigel! Glad you are enjoying the podcast…we think we’ve found a winning model for sure. Would love to learn how the new site is monetized so that it’s bringing in $1700? It’s mostly just amazon associates. Glad you started talking websites again. Wondering if you integrated any of the all in title keyword approach as Claire Smith mentioned in one of your earlier podcasts. What are your current thoughts about this method? I think Claire has some great keyword research methods. We don’t strictly go by all in title though. as i promised i wrote about you and your business in my website to introduce you to iranian people ! in our website that’s about online marketing and advertising, we do content marketing and SEO and all that’s stuff but we’re small business that has a limited resources, i don’t know why we have a small amount of viewers from search engines despite the fact that we have a original content ! we started our website 7 month ago and we update it average 3 times a week ! Do you mean affiliate product/cart integration or direct ecommerce product/cart/checkout in which you sell directly or via Amazon FBA? Besides, thanks a lot of the content highlights. All of the above. This could be either affiliate links, your own products that you ship, or Amazon FBA products. Right now we are just doing the affiliate link integration. But soon will do the FBA integration. Good info….I’ve always had hard time finding good writers. …Do you have a service your use for writers or a prior post how you get writers. that was a really awesome episode too ! Can you talk about where you buy content? I am worried about duplicate content. Not sure how to find legitimate writers for that price. Can you please give us some pointers. Would love to hear how Perrin’s new site is monetized in order to bring in $1700/month? I have been shifting more from niche/affiliate sites toward building and selling software products. Something you said in a past podcast about not having a long term business solely focused on affiliate sites but more on tangible products, really got to me ; ). I’m about to bring my first software product to market and am currently researching how to put together a killer website to sell it on. I notice most software selling sites, including LongTailPro.com have ‘blogs’ associated with them, which I assume are purely for organic seo purposes? Do you have any specific white hat seo strategies you employ on LongTailPro.com (software selling site in general) that you employ that may be different than a standard niche/affiliate site? Awesome! I really enjoy the software space, and I hope your business does well. Our blog on LongTailPro.com is indeed for organic SEO purposes. We rank naturally for lots of search phrases. Our strategy is very simple: find low competition keywords that are related to our market and then produce a great blog post about it. Then we share on social media and perhaps reach out to a few people that might also consider mentioning the article. That’s about it. We don’t do any active “link building”. I am not good with outreach emails. I do receive them myself for some of my sites but I usually ignore them. Maybe because I ignore them, I expect to be ignored if I try to do something like this myself. I do get a lot of natural links for my best site, but of course I want more. I will consider it once again. It is hard to beat real human relationships. Sometimes I have a feeling that it’s just a relatively small bunch of people that rules every niche and entire Internet for that matter. They may not have the best content but they have best connections for sure. Awesome Haws! I love your blog.. Awesome article and podcast. Nice to see you on track about niche sites. I’m going to start implementing it into my own sites. Keep up the good work! I have long followed the good advice of spencer and perrin about backlink strategies , content and seo good . If you build a blog amazon affiliate , is nice to use the services for buildink link . What is your opinion ? Only if the services don’t build spammy links. (Most do). Great to hear your podcasts. I followed Niche Site Project 1 and 2 and am making about $700/month from my blog. LongTailPro is very helpful. I do all the writing and other stuff myself, so far, but hope to expand. Thank you for your amazing and generous site!! Recently I got my first request for paid reviews and one place wants to know my ad rates. I think I will turn down paid reviews (thought a lot about it and can see some downside), and have no idea how much to charge for a banner ad? I get about 1,000 uniques on a good day. I’ve never done paid reviews, so I don’t have much input there. Thanks for the kind words though! @Spencer Haws I wanna ask question. Q : Ss that risky if i build backlinks from good article directory ? or we should only use guest post for backlinks ? I avoid article directories now. thank you so much i am planning new website that why i am asking . i spend my most of time for planning new web . so much informative website you have . Thank you for this podcast! I followed Perrins Niche Site journey, took action and built a site… with little success (about $40/month) but learned a lot! After your interview with Claire Smith (podcast 57) I and the very intriguing model of NO LINKS at all I gave it another shot … New site is earning ca. $300/month (with only 30 articles) and still climbing in ranks and earnings from month to month. And after listening to this podcast I will start to outreach and try to build links… I was always kinda blocked by the idea of actually asking for links. But I love your model of providing quality and will give it a try !!! I mean what could happen? Even 1% “Linkconversion” would be great! That’s awesome to hear…glad you are taking action. Good luck! Great article guys. It seems like the nature of link building and niche sites is slowly gravitating towards what is already done at the agency level for white hat link building. Quick question. Why are you paying a researcher from elance at all when buzz stream will pull most of the contact information for you? Because buzzstream doesn’t always pull the info you want. Plus there is more work to find the right types of sites than just opening the tool. I have been searching and studying, searching and studying, searching and …… you get the point. Almost everything that I look at has Amazon, and other ecommerce sites. Im sooooo frustrated. Im using long tail pro platinum and it works awesome but the operator (me) is not so good. What do you guys think about competing against amazon when the keyword has an average competitiveness of about 35? I would avoid keywords with a KC of 35+ and compete with amazon if possible. Perhaps you can take those keywords and add a modifier to make them less competitive? Such as adding “best” at the beginning or “review” at the end. Awesome Blog Haws. Really a Great set of info. good go.. awaiting for more updates..
Am struggling now with choosing between starting a niche site, or diving into the FBA program, and it is a struggle. Sort of get the feeling after listening to this podcast that you’re moving away from building niche sites in favor of FBA right now simply because there is more opportunity there now. Is that true? If you had to make a choice between the 2 right now because you needed faster and better results and you simply did not have the bandwidth to take both on simultaneously, which would you choose? I would chose selling my own products. That could be physical products (FBA), software, or something else. You will see faster and bigger results when you sell the products. Between FBA vs. niche sites, definitely FBA…if you have enough money to get it off the ground. It seems Amazon FBA has been the big trend since 2014. I’m looking to launch a new blog next year and know quite a lot about SEO/blogging ect but I also feel like I’m missing out by not taking the FBA route. Would you suggest I look at FBA or blogging, bearing in mind I know close to zero about FBA but a lot on Blogging. That really depends on where you see the most opportunity in the market. Both blogging and FBA are simply marketing/fullfilment channels. The real question should be what are you going to sell and how will the market react (the could be selling on your blog or on fba).